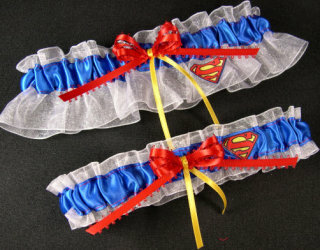 Superman logo keepsake bridal garter and matching toss set on white organza with royal satin band. Bow is red with yellow tie. The perfect set for your superhero. Custom requests welcomed.